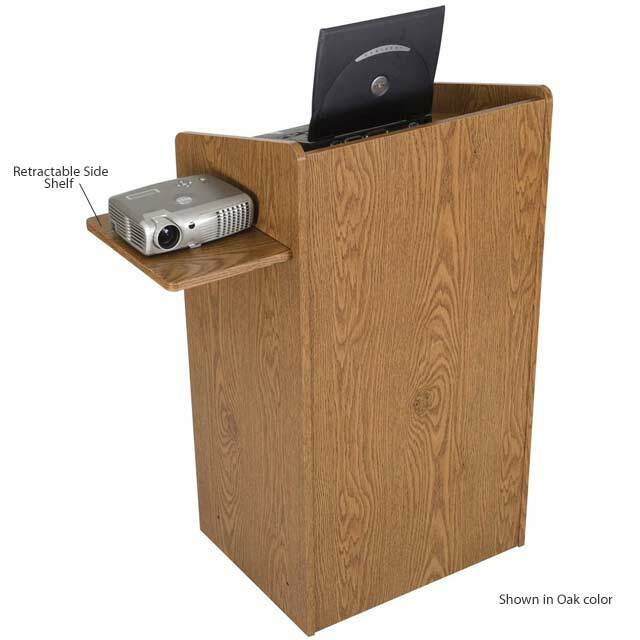 The mobile floor lectern from Balt perfectly combines style and economy for any classroom. Recessed casters provide mobility without impairing aesthetics and also prevents tipping. 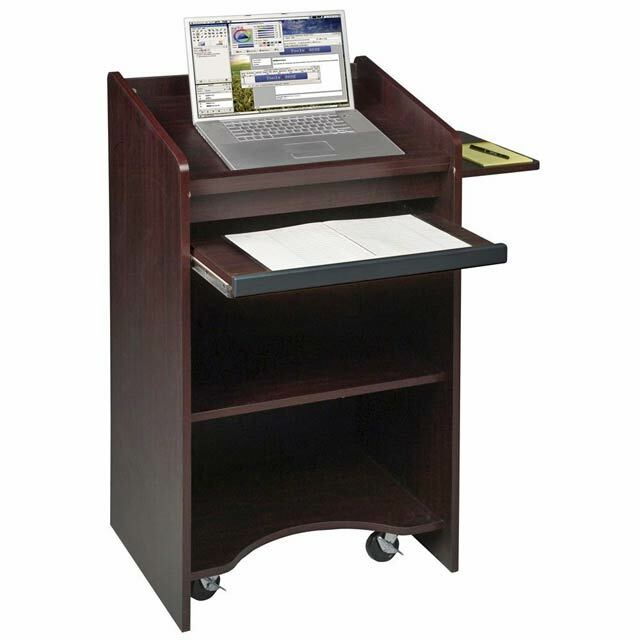 Retractable keyboard or laptop shelf includes a security lip to keep equipment in place. 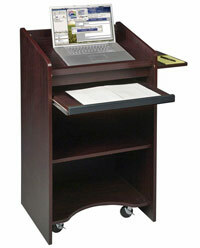 Includes a slanted top and a side shelf that can be slid inside the lectern when not in use. Two interior storage shelves provide ample space for classroom materials.